Center-Fold Exercise Mat with Handle is efficient and portable. With its durable handle, users can easily take it to the gym, fitness center or school. 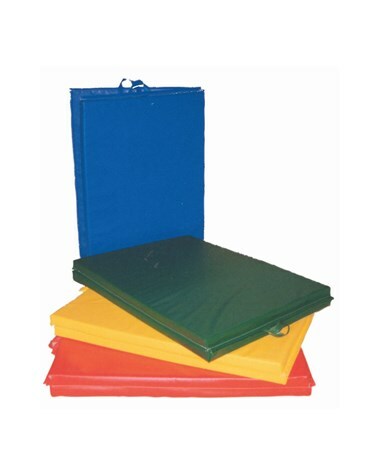 The mats are designed with fire-retardant PVC coated vinyl and its sewn around the mat. This adds extra durability which means it won't easily get damaged even with high-impact exercises. The mat has a vinyl coated nylon that's mildew resistant and antibacterial. Users won't have to worry about getting in contact with pathogens that can compromise health. With Poly-Urethane foam, the mat has a softer feel and provides just the right cushion to keep users comfortable and safe. 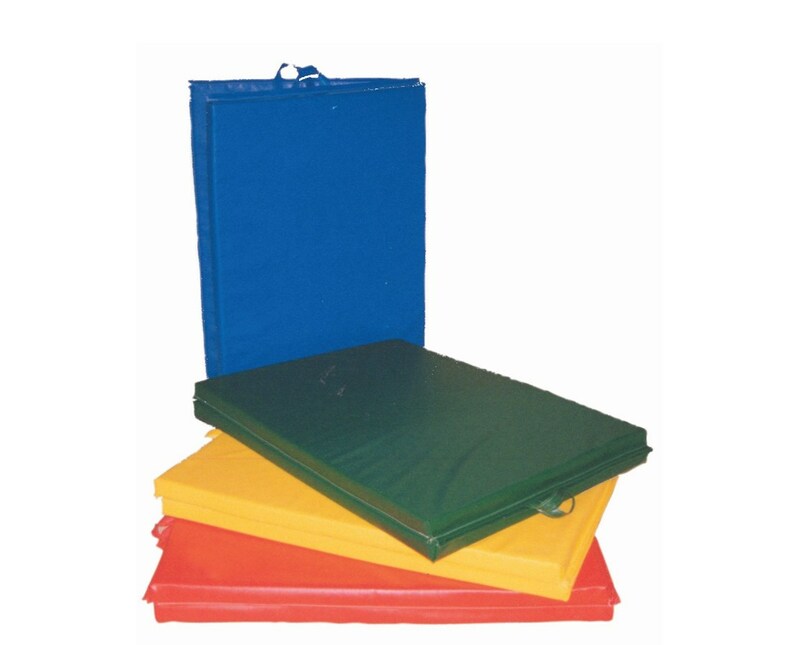 Unlike most mats that need to be rolled, CanDo Center Fold Mats fold in half which means it can take less space when stored. It even has reinforced handles to better portability.